A fitting Beatles lyric with which to close today's extended Entertainment Live page, which has - quite understandably - been all about the life and achievements of one remarkable man. In case you missed any of the many tributes that have been paid to Sir George Martin today, we've put together a special page for them. But feel free to carry on sending us your thoughts and memories, which we'll try to include on Thursday's live page. For now, we'll turn down the fader with these words from the man himself. Quote Message: I've had a bloody good innings. I can't imagine anyone who's been luckier than I have with the kind of artists I've been able to record. I've had a bloody good innings. I can't imagine anyone who's been luckier than I have with the kind of artists I've been able to record. Before we sign off for the day, here is one final selection of tributes to the man who has, quite rightly, dominated our coverage today. According to David Bowie's long-time producer Tony Visconti, "we lost another British hero today." The US producer has written a lengthy tribute on Facebook that begins as follows. Quote Message: George Martin was my hero. He embodied everything I believed was possible with popular music - you could make rock and roll rock and invite Beethoven and Mozart to join in. George Martin wrote the book on modern record production. I'd be nothing without his wisdom. George Martin was my hero. He embodied everything I believed was possible with popular music - you could make rock and roll rock and invite Beethoven and Mozart to join in. George Martin wrote the book on modern record production. I'd be nothing without his wisdom. Visconti goes on to express sadness at the fact that, despite meeting Sir George many times at recording studios, he never had a photo taken with the late producer. Jimmy Napes, the songwriter and producer who shared this year's best song Oscar with singer Sam Smith, has added to the torrent of tributes that have been paid today to Sir George Martin. Napes, pictured left, said Sir George had "helped shape modern music" and "made some of the most influential records ever made." Record producer Nigel Godrich, known for his work with Radiohead, spoke to Radio 4's The World at One about Sir George's influence on The Beatles. He explained how Martin turned the ideas of the band into things that "have never been heard before", creating a "classic reference point" for modern music producers. Ian Whiteman, of '60s band The Action, has emailed us with his memories of Sir George Martin. Quote Message: George was producing The Action's recordings at the time I joined the band in 1967, and it was strange to find myself comparing notes with him about The Guildhall School of Music where we had both studied the oboe. He didn't give a fig for the fashionable world of '60s London and dressed like a friendly bank manager, except that he gave us money instead of lending it. Unlike many in the music business he was completely trustworthy. Rest in peace, George. George was producing The Action's recordings at the time I joined the band in 1967, and it was strange to find myself comparing notes with him about The Guildhall School of Music where we had both studied the oboe. He didn't give a fig for the fashionable world of '60s London and dressed like a friendly bank manager, except that he gave us money instead of lending it. Unlike many in the music business he was completely trustworthy. Rest in peace, George. Caroline Muller has also been in contact with these recollections of Sir George. Quote Message: I was so saddened to read this morning of Sir George Martin's passing. I had the great honour and pleasure of meeting the man in my days working at EMI in Manchester Square. Even though I was a mere secretary he always had time to talk... He was a charming man, a true gentleman and the best record producer I have had the pleasure to meet. A true genius and a gentle giant of the music industry. I was so saddened to read this morning of Sir George Martin's passing. I had the great honour and pleasure of meeting the man in my days working at EMI in Manchester Square. Even though I was a mere secretary he always had time to talk... He was a charming man, a true gentleman and the best record producer I have had the pleasure to meet. A true genius and a gentle giant of the music industry. Paul Mayor got in touch to say the following. Quote Message: Reaching out for my Beatles albums this morning in memory of Sir George. Listen to the orchestration in Good Night from the White album or his keyboard solo on In My Life from Rubber Soul. Both beautiful pieces of music. It's a sad day but we will always have his genius in our memories, courtesy of his musicality. Reaching out for my Beatles albums this morning in memory of Sir George. Listen to the orchestration in Good Night from the White album or his keyboard solo on In My Life from Rubber Soul. Both beautiful pieces of music. It's a sad day but we will always have his genius in our memories, courtesy of his musicality. We also received this tweet from Michael Jabin. Our indefatigable music reporter Mark Savage has been casting an eye over Sir George Martin's back catalogue and has chosen the five songs that he believes best illustrate how versatile and innovative he was. Three of them are Beatles tracks. You may be surprised, though, by the other two he's selected. Sir Elton John, with whom Sir George Martin worked on the 1997 re-recording of Candle in the Wind, has said that the producer's death marks "the end of a wonderful era". BBC Radio 2 DJ Bob Harris has paid tribute to Sir George, calling him "our finest ever producer". Quote Message: He was a gentleman, kind, caring, articulate and incredibly creative. Without him the landscape of British music would be very different. His work with The Beatles changed the world. He was a gentleman, kind, caring, articulate and incredibly creative. Without him the landscape of British music would be very different. His work with The Beatles changed the world. BBC Four is showing Produced by George Martin at 22:00 GMT tonight to mark the death of its subject on Tuesday. The Arena programme was made to mark his 85th birthday five years ago and includes Sir Paul McCartney, Ringo Starr and Cilla Black among its contributors. BBC 6 Music will also air three documentaries this week in memory of Sir George. As lead singer of Gerry and the Pacemakers, Gerry Marsden worked with George Martin in the 1960s on such hits as You'll Never Walk Alone. Marsden, now 73, told the BBC that Martin allowed the musicians he worked with space to be themselves. Quote Message: He'd let you go and do your own thing and then he'd listen to it and say 'Right, here's how we can change it', and he would change it slightly. The main thing was he let you go in the studio and do your own thing. He was great and he was a lovely man. He was very, very musical. He'd let you go and do your own thing and then he'd listen to it and say 'Right, here's how we can change it', and he would change it slightly. The main thing was he let you go in the studio and do your own thing. He was great and he was a lovely man. He was very, very musical. 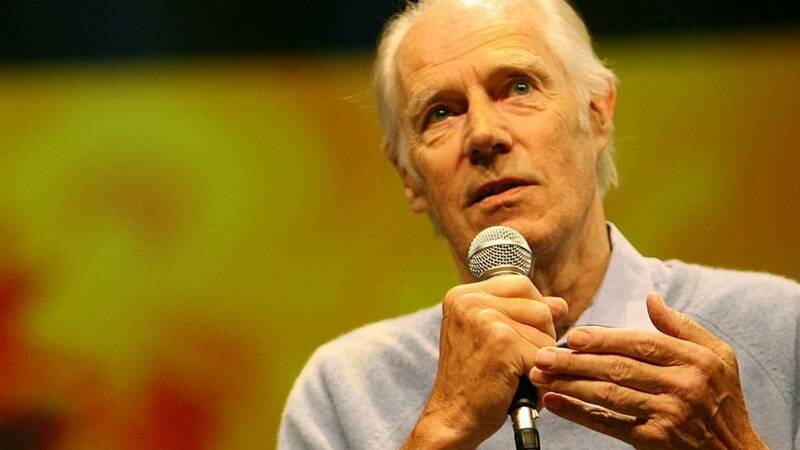 The death of Sir George Martin has made headlines around the globe. Germany's public broadcaster said his work with the Fab Four allowed them to develop into "musical and cultural revolutionaries". In Russia, meanwhile, he was praised for being the kind of producer who does not "think about money but is a full member of a group". Another friend and collaborator of Sir George Martin has been in touch to share his memories of the late music legend. Victor Moore tells us he was born in the same month as Sir George and performed in one of the first bands he put together. Quote Message: Very sad to hear that my old friend George has passed away. We were both born in January 1926. I knew George when we were schoolboys in Bromley during the war and I was the trumpet player in the first little band he formed together with Terry Roberts on the tenor sax and Pat Greenway on the drums. Very sad to hear that my old friend George has passed away. We were both born in January 1926. I knew George when we were schoolboys in Bromley during the war and I was the trumpet player in the first little band he formed together with Terry Roberts on the tenor sax and Pat Greenway on the drums. Quote Message: We called ourselves The Fourtune Tellers and did gigs in the Bromley and Chislehurst areas. I remember him very fondly. Our association was short-lived due to our being called up for [national] service but he was never forgotten. Well done George. We called ourselves The Fourtune Tellers and did gigs in the Bromley and Chislehurst areas. I remember him very fondly. Our association was short-lived due to our being called up for [national] service but he was never forgotten. Well done George. Mancunian songstress Lisa Stansfield has added her voice to the now deafening chorus of Sir George Martin tributes. The makers of the Martin Acoustic Guitar have also used Twitter to thank the late producer for "all the beautiful music". Graham Nash of The Hollies and folk supergroup Crosby, Stills and Nash believes Sir George Martin's work with comedy acts prepared him for the demands of The Beatles. "The Goons had already put him through it, asking him for the sound of a giant pudding hitting a battlement wall and sliding down," he told the BBC. "So when John came along and said, 'Can you make my voice sound like the Dalai Lama on top of a mountain in the fog? ', it was no big deal to George." A selection of some of the other tributes to and memories of Sir George Martin that you've been sending us. I had the privilege of meeting Sir George 16 years ago and he was kind enough to give me his autograph. My overriding memory is being so starstruck that I kept trying to prod a biro into his hand - for what seemed like an eternity - without realising he'd already produced a far superior writing implement from his pocket. Sir George wasn't going to sign anything with a ballpoint! We enjoyed 'An Evening with George Martin' at the Elgin Theatre [in Toronto]. I was thrilled to see him chat about his career and obviously his time spent with The Beatles. A distinct gentleman and extraordinary talent. Thanks for the memories. So sad. Created Live and Let Die, still the finest Bond theme ever!!! We will miss your heart, your soul and your genius. God Bless you Sir George. Quite simply, George Martin changed the world. One of those rare occasions when we can truly say today is 'the day the music died'. Sir George Martin's death was marked in the House of Commons earlier, where both David Cameron and the Labour leader Jeremy Corbyn paid tribute to him at the start of Prime Minister's Questions. Here's how the brief exchange played out at 12:04 GMT. First of all let me join [Mr Corbyn] in what he said about George Martin. He was absolutely a massive figure, a giant in popular music and responsible for tunes that will live on forever more. Jennifer Flint - a member of The Huggett Family, a British-Canadian performing troupe who worked with Sir George Martin in the 1970s - has been in touch to share her memories of the late producer (pictured above, second left). Quote Message: We were a performing and touring musical family of British-Canadian background and had a successful career spanning 13 years. George Martin's interest was piqued when my father rang up the first recording studio he could find listed in the London phone book - starting with 'A' [Abbey Road]. We were a performing and touring musical family of British-Canadian background and had a successful career spanning 13 years. George Martin's interest was piqued when my father rang up the first recording studio he could find listed in the London phone book - starting with 'A' [Abbey Road]. Sir George, who made two albums with the Huggetts, is seen in the picture below playing the rackett - which Jennifer Flint describes as "a renaissance reed instrument related to the bassoon" - with members of the band. To many, Sir George Martin is remembered as the "fifth Beatle" who produced some of the most popular music to come out of the UK. But he was also responsible for building a musical outpost on the tiny Caribbean island of Montserrat where some of the biggest-selling albums of the 1980s were recorded. To those who lived and worked there he will be fondly remembered as the owner of AIR Studios Montserrat, where a Who's Who of top musicians recorded hit albums throughout the decade. Find out more from the BBC's Stephen Fottrell. Former Genesis guitarist Steve Hackett has expressed his sadness at the news of Sir George Martin's death. Singer-songwriter Regina Spektor said Sir George "helped new sounds come out of hiding". Yusuf Islam, formerly known as Cat Stevens, said Sir George was both an "influential music producer" and "a man of good character". "It’s going to be hard to imagine a world of music without George in it," wrote Dire Straits' Mark Knopfler on Facebook. "He was a lovely man who gave so much of his talent and of himself." And Bryan Adams wrote: "Goodbye George Martin, thanks for producing the music that changed my world and everyone else's." The Canadian singer accompanied his tribute with a photo of the producer that he took backstage at the Queen's Diamond Jubilee celebrations at Buckingham Palace in 2012.